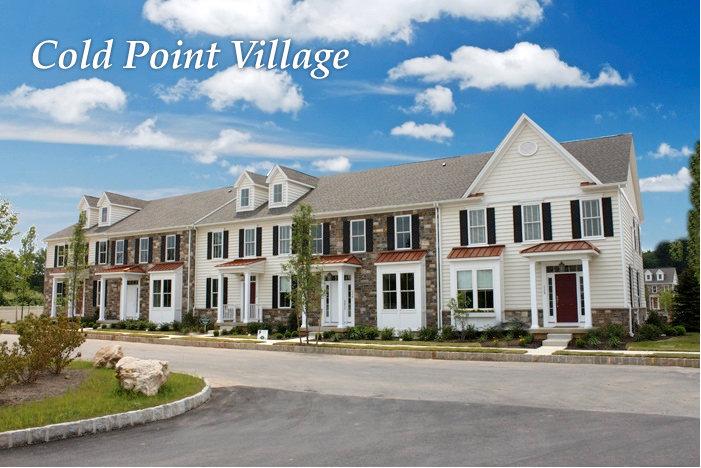 Vanguard Realty Associates will soon be opening an office at Cold Point Village, a fabulous Plymouth Meeting carriage home community created by Sal Paone Builders. This will be our flagship office serving the needs of home buyers in Cold Point Village, as well as buyers and sellers throughout Montgomery County. We’re excited about strengthening our long-time relationship with the Sal Paone Builder team – and about the growth that has led us to our new company home. Whether you’re interested in buying, selling or just talking about possibilities, we invite you to stop by. Our team will be happy to help you in any way possible!